I remember looking outside my bedroom window a few years back and wondering whether anyone would ever read my writing. When I first started putting pen to paper, I was a little naive as to what it would actually take to make my book a success. All I knew was that I had a burning desire to share the message inside me to the outside world. I had never been taught how to write, never did any courses on how to self-publish and definitely didn’t know the process. I wrote simply to express myself. I couldn’t draw pictures, and the only time I thought I sang half-decent was in the shower. So, writing was the only way I knew how to artistically express my thoughts and emotions. I wrote and wrote and wrote. Since then, I have spent thousands of hours researching everything from getting a barcode for the book to the correct discounts to give online retailers, the editing process, inputting metadata, marketing, etc., etc. (these and more will be explained in detail later on). As of today, my book has been a number one best-seller on Amazon in the US, UK, Australia, Canada, Germany, Italy, France and China. It has topped categories such as spiritual, motivational, business and mentoring. It ranked in front of books like The Alchemist, Think and Grow Rich and The Power of Now on multiple occasions. I have sold just over 100,000 self-published copies as of the day I started writing this, but it is increasing daily. I have also just been signed by global publisher Penguin Random House through their imprint Harmony. They are looking to release a revised edition of Who Says You Can’t? YOU DO in 2018. I even scored a very reputable literary agent in New York, and I’m based in Melbourne, Australia. My Instagram page for the book @whosaysyoucantyoudo has almost 400,000 followers and growing. This was all a dream a while back. Please, remember that. A few years back, no one had ever read my work. I was sitting all alone in my bedroom with a blank notepad in front of me. Anything is possible when you have the vision and the right information. I had to research and learn about myself. 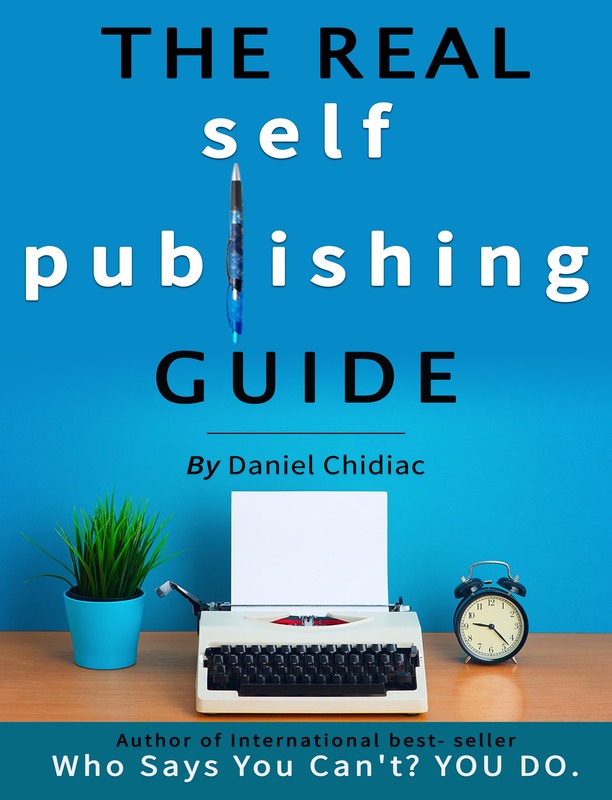 People often ask me, “Why are you sharing this?” Well, simply, because I believe I have achieved enough as a self-published author to teach it. The true meaning of our experiences is not just to learn, but to teach others what we have learnt.